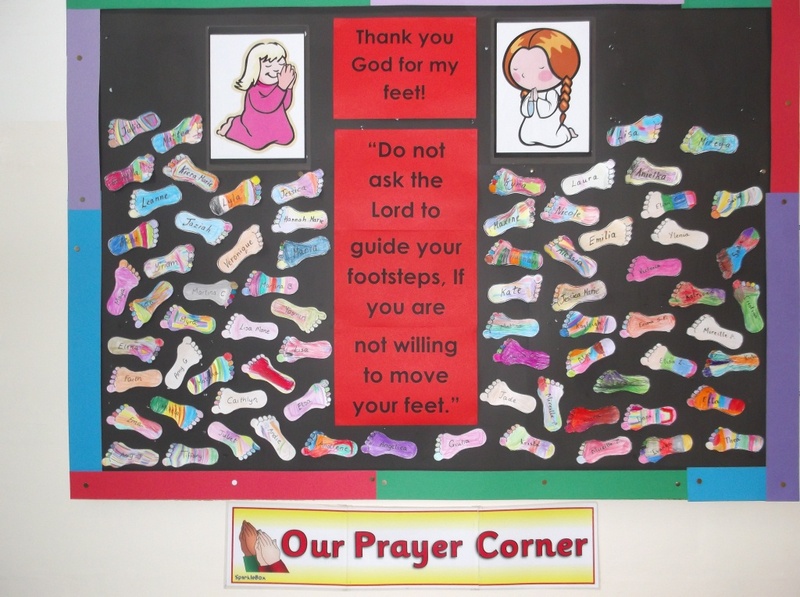 This is a board that we worked on during Religion. 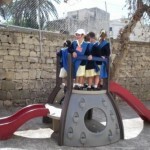 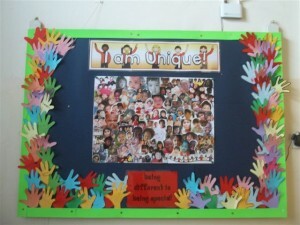 We are working a lot on issues of prejudice and fairness…very much linked to the Goal of Community. 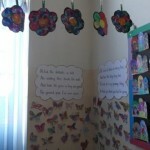 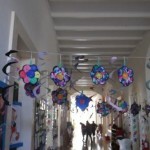 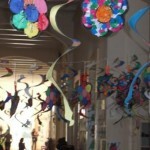 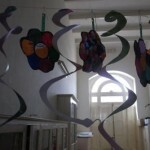 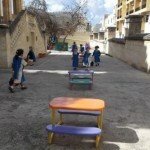 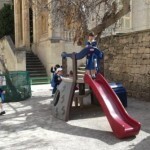 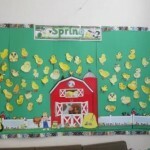 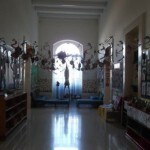 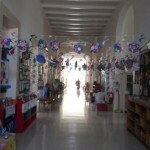 The Year 1 corridor was decorated with the theme of Spring. 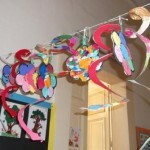 We coloured hanging snakes, chicks, butterflies and snails. 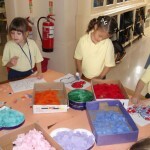 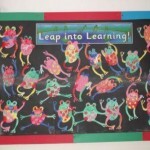 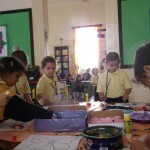 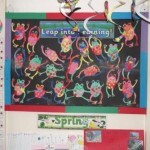 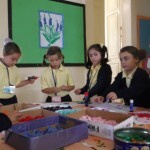 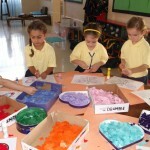 We painted frogs and decorated flowers using paint as well as collage. 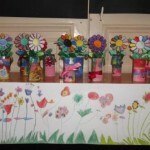 We also made toilet roll crafts using stickers, ribbons etc. 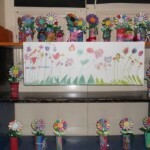 These were transformed into vases of flowers. 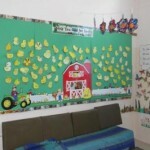 We worked in groups to draw and colour garden scenes and these were hung all along the corridor.